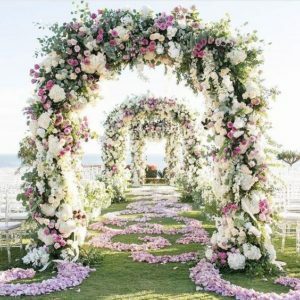 If you are planning a wedding for 2019, this are is for you! 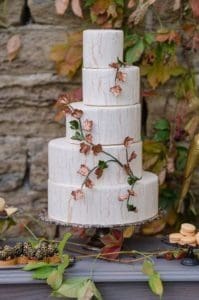 The main trends for next year are metallic accents, velvet decor, and alternatives to the traditional wedding cake. I have assembled the hottest trends from Pinterest for your inspiration. 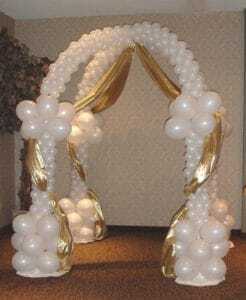 Wedding arches are symbolic gates to a new life that newlyweds will begin after exchanging wedding rings and vows. 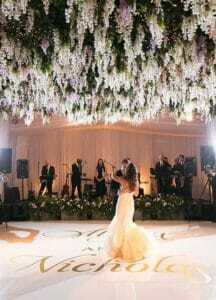 It is a wonderful symbol of togetherness, prosperity, and happiness. 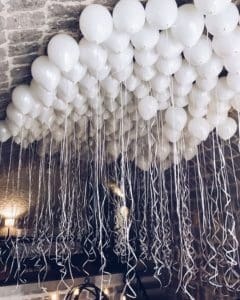 Imagine finishing your first dance with your new husband and then white (or whatever color you choose) balloons drop from the ceiling gently falling on you and your new husband. 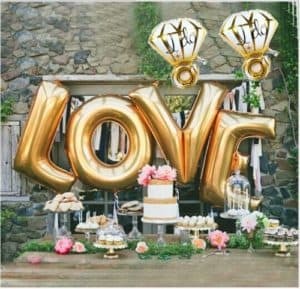 Or envision a word such as “Love” spelled out in balloons. 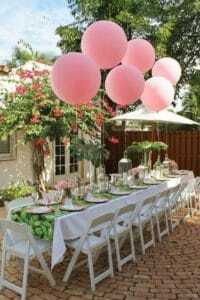 There are numerous possibilities on how to incorporate this joyful addition into your very special day. 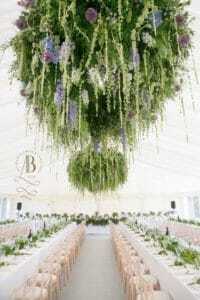 Many weddings and their receptions are featuring flowers that hang from the ceiling. This is especially true for weddings in 2019. 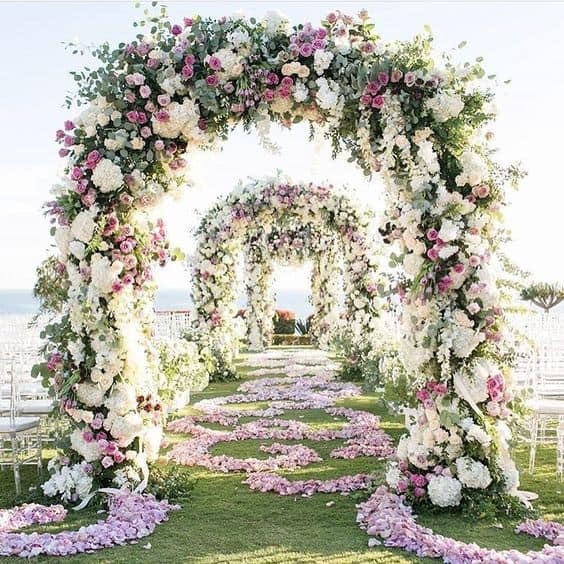 Not only does this create more room in the church or banquet hall, it also provides a breathtaking view of the wedding flowers that you have selected. 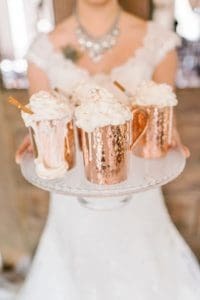 Bronze and copper are a brides’ inspiration in 2019. 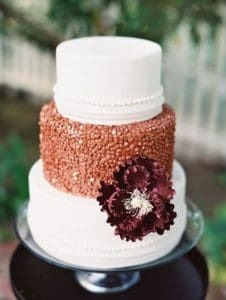 Warm copper creates a pleasant atmosphere for everyone while bronze brings a rich, yet soft feeling to your wedding. The use of velvet creates a luxurious, warm, comfortable atmosphere for your guests. 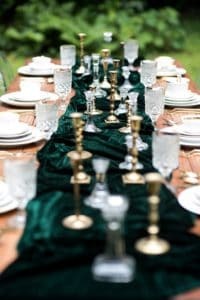 Whether it is a velvet couch, part of your tablescape, or worn as a shawl with your wedding gown, velvet has a myriad of uses. 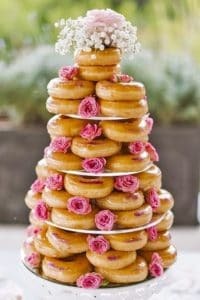 Wedding compositions from cakes with cupcakes, macaroons, and donuts among many other choices have become a beautiful alternative to a large wedding cake. 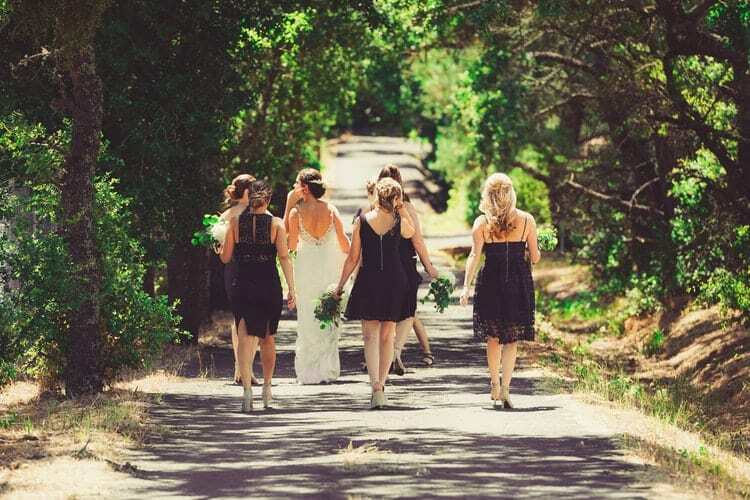 With family and friends all around you coming together in the most beautiful of engagements, you’re bound to feel the love and affection during wedding season. 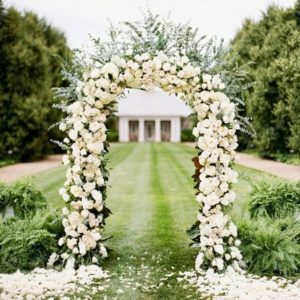 It might be that you’re the one planning to tie the knot this summer, or you have the big responsibility of being an event planner. 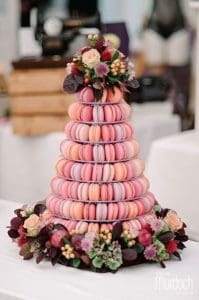 Whatever the case, you’ll definitely want a theme, dress, or even favours that really make your ceremony and reception unique to you. You have your own taste that will make your day special, no doubt. But it never hurts to gather some inspiration! 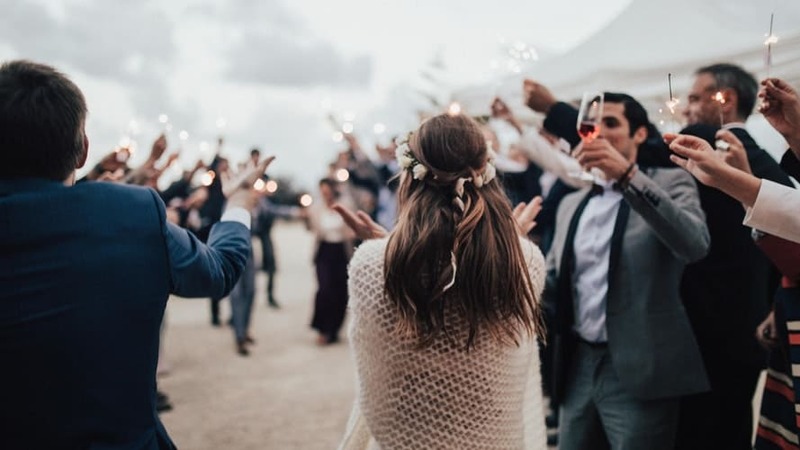 These well-tested practices can have a strong effect on your vision for your event and are sure to leave guests with a lasting impression and make this occasion, whether it’s yours or a loved one’s, one to remember for years to come! Not sure where to begin? 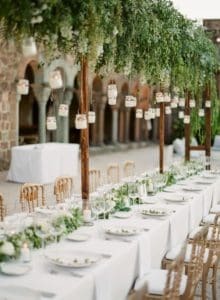 Check out this handy list of six summer wedding trends that are sure to take this amazing series of moments to the next level! 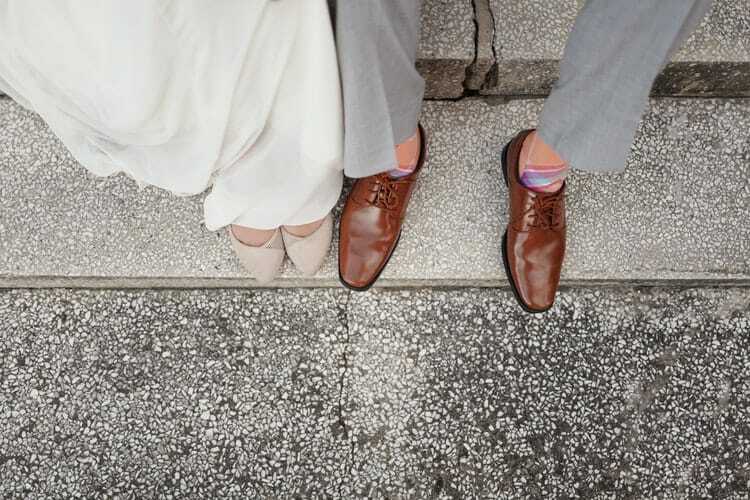 We’ve all heard of having a guestbook at events, but to be honest, they scarcely wind up doing much other than collecting dust in a basement or attic box. However, this is still a sentimental tradition that should not be overlooked entirely. What could be a better way to commemorate the friends and family who attended the big day than with something you’ll love and interact with on a regular basis? There are several choices for unique keepsakes for guests to sign, and it will add a degree of interest when people first walk into the reception. If you’re going a very eccentric route, it could be an article of clothing or a large canvas. However, if you want to keep it a touch more traditional and practical, you can hardly go wrong with a signable serving tray or picture. These items can be displayed in your favorite space in your home and will put a smile on your face whenever you see them. 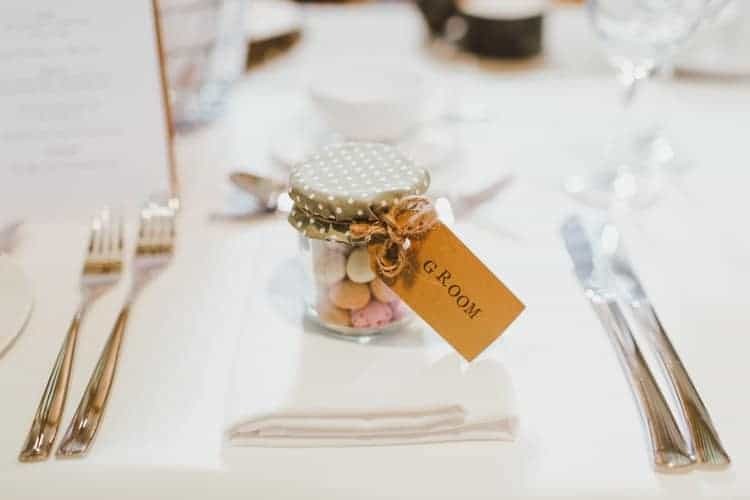 Easily one of the most effective trends for making your event memorable for years to come is the distribution of personalized favours! There are several ways to go about this, and certainly to avoid the clichéd act of simply passing out wine glasses. For example, customized wine stoppers, coasters, and even ornamental gifts can be a great way to break the mold. 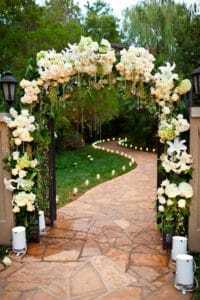 While it may seem like a relatively negligible aspect of planning for the big day, these are the gifts that will commemorate your marriage in the hearts of all who attended, and a great way for everyone to look back on this momentous occasion. 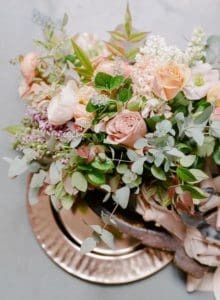 In some cases, too much eccentricity in wedding attire could potentially come across as being tacky, but that’s not to say that you can’t spice it up from the traditional! 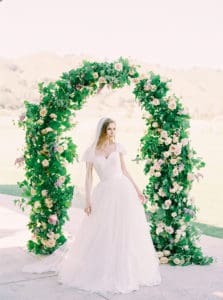 While the white dress is still the most common choice for the bride, you can still opt for an elegant bridal gown silhouette and add some tasteful pops of color for the groom and the rest of the party! These little accents can be achieved in very subtle ways, and there’s no reason to compromise your classic vision for interesting colors. Some dress shoes or ties in something other than black or neutral tones can work very well even with the most muted of suit styles, and there’s nothing stopping you from experimenting with the scheme of the style. It’s perfectly fine to veer off the beaten path and express your creativity and individuality with different combinations of outfits! Despite being more experimental with popular color palletes, some planners will still insist on perfect uniformity. 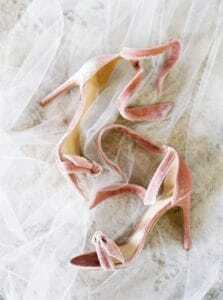 However, in the middle of summer, comfort really is key for those standing up at the altar with you. 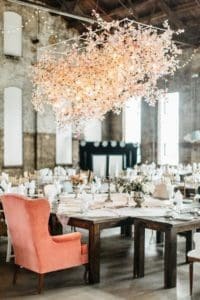 The mismatched trend still continues to be popular, and may be achieved by selecting an exact color, or different shades of the same hue to achieve an ombré effect with your wedding party attire, and letting them make their own final selections. 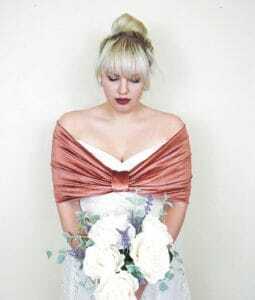 It will hopefully make your bridesmaids happy because they can find a dress that is comfortable, meets their specifications and will complement their shape, and if it’s something they really like, it can be restyled and re-worn after the wedding. Speaking of dressing well, it’s not all about the most obvious and flashy. You can be sure that the photos from this event will be shared in your family for generations, and many viewers now and years into the future will have a very keen eye. If you really want to showcase your style and coordination abilities, it’s important to focus on attire right down to the most minimal of details. There are several ways to do this. You could find matching accessories for those in the party, including hair pieces, jewelry, or cufflinks. You’d be surprised how many guests will notice tiny details such as these! 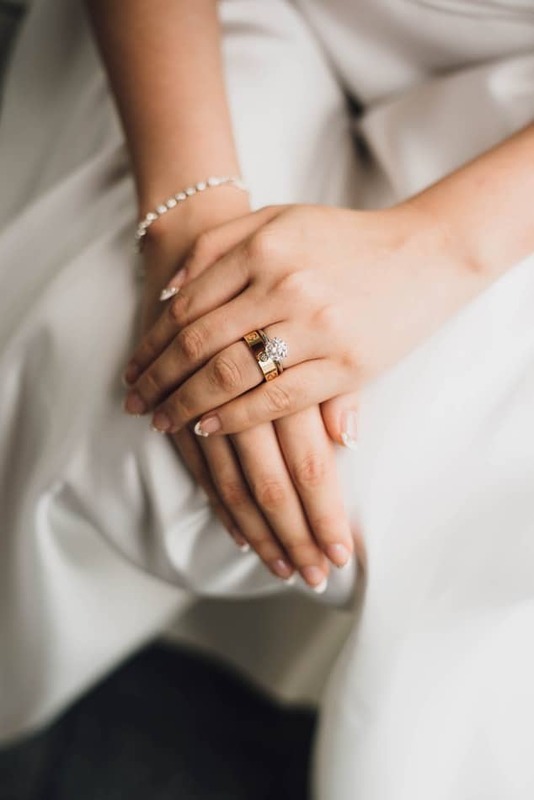 While statement jewelry was a really popular bridal trend for awhile, we’re seeing a shift to simpler and more subtle pieces this summer. 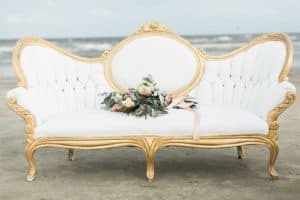 With Meghan Markle’s minimal bridal look as inspiration, specialty pieces that are delicate but still eye-catching are great and on-trend, and will show your crowd that you’ve spared no effort on beautiful presentation. You know what they say about too much of a good thing. 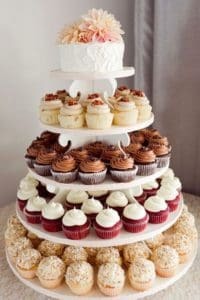 While we all love delicious and delectable comfort foods at a wedding, the heat of summer can cause sluggishness and slow down your party if you’re not balanced with how you plan your reception, particularly if it takes place outdoors. 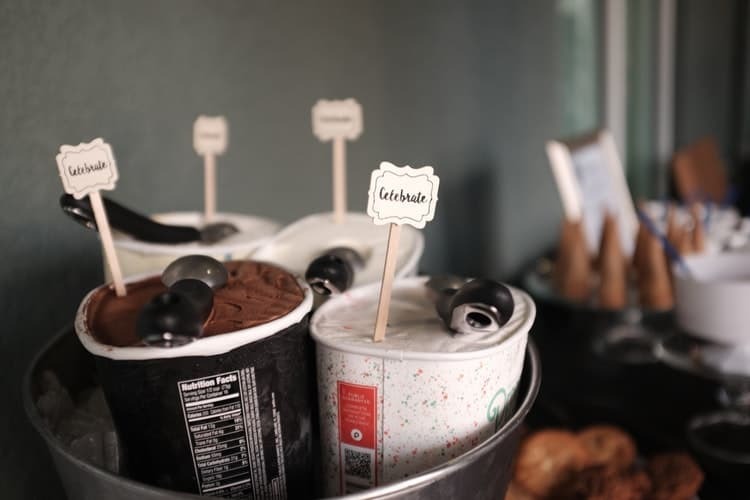 One new trend depends on relying heavily on cold treats, such as frozen fruits and light desserts, with smaller portions of the comfort food that we’ve come to expect. While it may seem like something that may not merit too much consideration, you’ll notice that your party will likely stay more lively. After all, you’ve put a lot of thought into making this day unique and fun, and you wouldn’t want them to miss a thing. Cassandra Cross is a freelance writer and fashion enthusiast who has collaborated with industry insiders, from independent boutique owners to leading fashion brands. 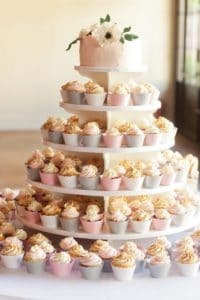 For more wedding inspiration, click here to check out my Pinterest Boards here!